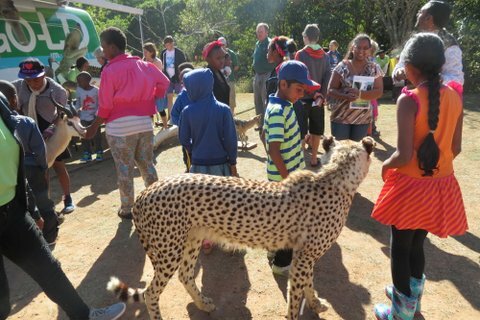 On Saturday 19 July 2014 the Hillcrest Conservancy hosted the eThekwini Mobile Museum at Springside Nature Reserve. 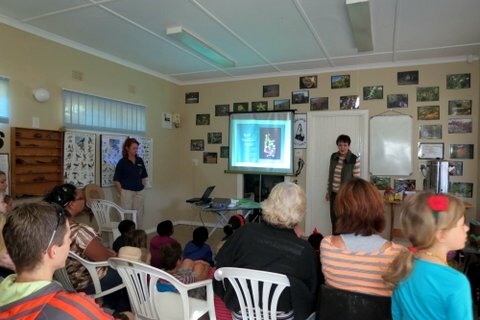 On the same morning we were lucky enough to have Helen from the KZN Bat Group present a fascinating talk on these commonly ignored creatures. There were children (and their adults) from the immediate neighbourhood as well as from the Makaphuthu Orphanage there to be enthralled by the museum display and the bat talk alike. Rotary kindly brought the Makaphuthu kids through, giving them a wonderful outing. The mobile museum is a magic bus filled with surprises including an enormous “zoo” of stuffed animals, which enthralled kids and adults alike.